These updates follow Adobe’s recent unveil of Project Rush cross-device video editing app designed for online content creators. The new features for Adobe Creative Cloud announced at IBC will be available with the next version of Creative Cloud. 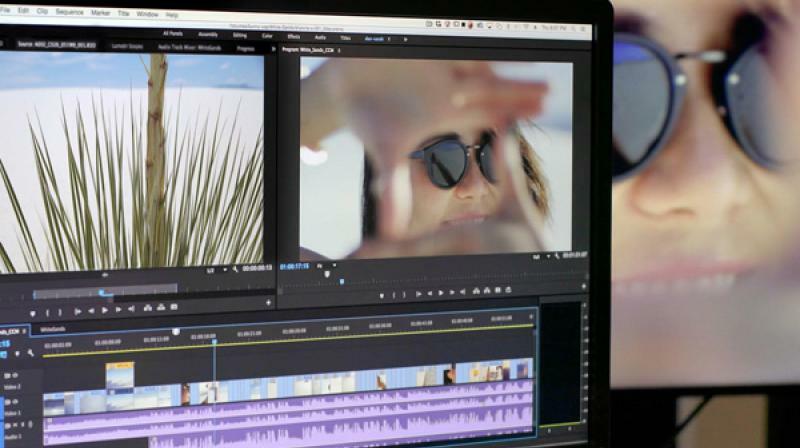 Adobe unveiled new video features coming to Adobe Creative Cloud that is reported to speed up production timelines, enable more seamless workflows and deliver powerful capabilities for filmmakers and video professionals. The updates include Adobe Sensei-powered animation, intelligent audio cleanup tools, selective color grading, advanced data-driven motion graphics templates and end-to-end VR 180 support. These updates follow Adobe’s recent unveil of Project Rush, the all-in-one, cross-device video editing app designed specifically for online content creators. Project Rush delivers a streamlined and intuitive user experience that makes creating and sharing online content easier by harnessing the skills of Premiere Pro and After Effects, and Project Rush projects are seamlessly opened in Premiere Pro, as claimed by Adobe. Currently in beta, Project Rush will be available later this year. - You can mold layers into new shapes with new Mesh Sculpting tools that twist, bend and scale under your creative control in After Effects. Leveraging artificial intelligence and machine learning technology in Adobe Sensei, you can also create and animate unique, stylized puppets using a webcam and reference artwork with Character Animator’s new Characterizer. - It allows you to improve audio with intelligent clean up tools, DeNoise and DeReverb, in the Essential Sound panel in Adobe Audition. Dial down or remove background noise and reverb from a sound clip that’s been adjusted by adaptive algorithms. - You can take the guesswork out of curve adjustments and bring simplicity and precision to selective color grading and color management with new Lumetri Color tools in Premiere Pro and After Effects. - You can drag and drop spreadsheet files to Motion Graphics templates to generate visual representations of information within video projects using data-driven infographics in Premiere Pro. - One can add new support features for 180-degree immersive video in Premiere Pro and After Effects, including optimized ingest, effects and output in Google VR 180 for viewing on YouTube or other platforms. - The creator can invite groups and individual collaborators for Team Projects and easily access team members from your enterprise address book to choose collaborators and save groups. - Moreover, you can also search and sort millions of curated, contemporary 4K and HD cinematic footage and professionally-designed Motion Graphics templates, right from the Essential Graphics panel in Premiere Pro and After Effects. The new features for Adobe Creative Cloud announced at IBC will be available with the next version of Creative Cloud coming later this year and the monthly subscription start at Rs 676.